Richard Wiles broke into the mapping community in 1998, unveiling his ten-map DICKIE series one installment at a time. 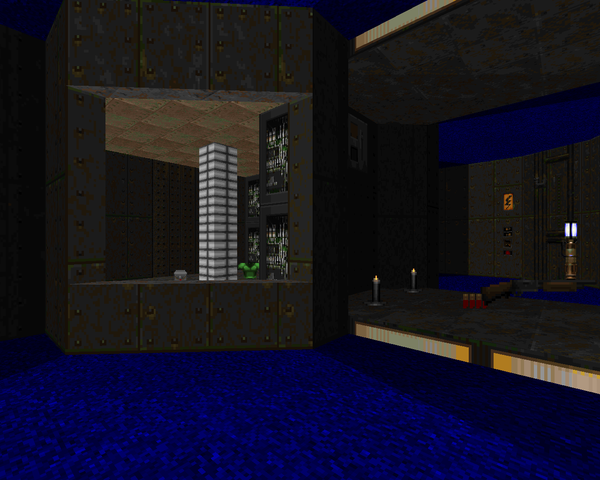 DICKIE04 is the fourth outing, running in MAP04 of Doom II. In DICKIE01, you landed on a demon-infested planet and promptly slew the big boss, eliminating the source. 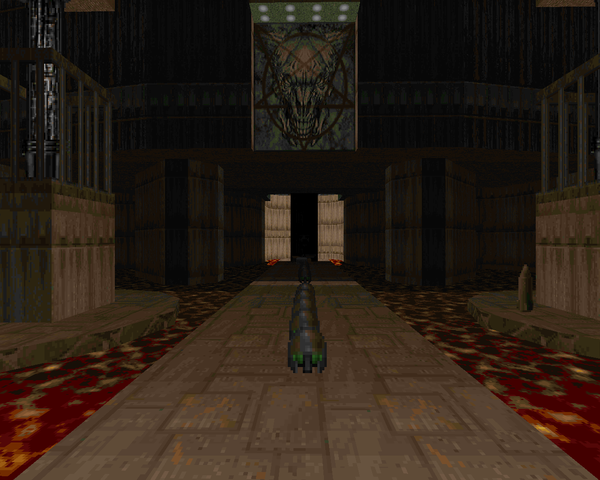 The rest of the levels track the player as he (or she) runs around, clearing out the demonic remains. The adventure occurs in a variety of locales, mostly due to Wiles's vow to give each WAD its own distinct theme. For DICKIE04, this means a map split between green-walled outdoors, dark metal interiors, and a ton of lava running through it all. 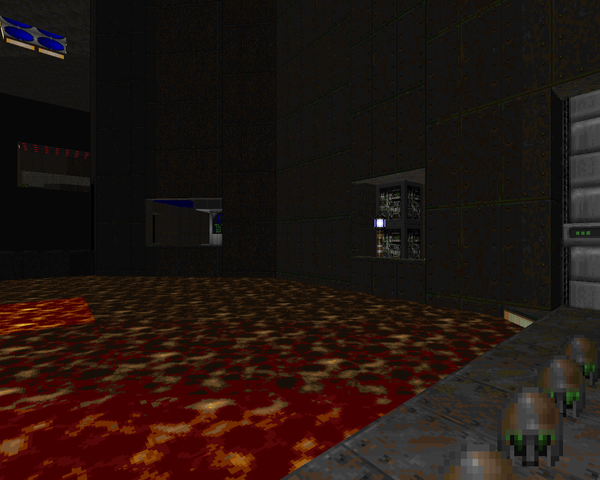 The emphasis on damage floors makes it a fairly challenging level. It limits your maneuverability and ensures that you will suffer at least some attrition, making it paramount that you sniff out semi-secrets like the soul sphere in the yellow key section, which has no rad suits if you mess up, compounded by multiple visits. The monsters aren't too tough, for the most part. You'll have to watch out for some snipers here and there, especially when crossing the first outdoor yard. There are some neat navigation tricks, like the crossroads elevator. There's some annoying backtracking if you visit the northwestern area before lowering the teleporter, but that's bar standard in a map with looser exploration. The most difficult bit for me was probably the blue key area, a rad suit timed battle in the outer lava surrounding the exit building. You wake up a hefty number of monsters and have to keep track of the fireballs flying around as well as some possibly threatening roamers. 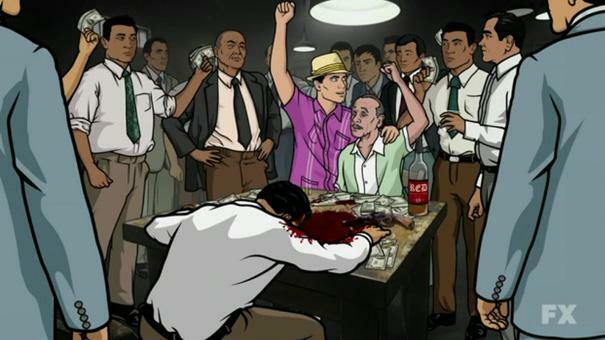 Don't be afraid to hang back or, better yet, make good use of that conspicuous plasma rifle just laying out. A close second would be the monster closet encounter in the yellow key area, where teleporting monsters make for some erratic dodging given your divided attention. Given a second pass, I'd have just turned around and rocketed as many of them as I could. Wiles has laid out some interesting architecture, mostly in the northern area with the opposing staircases, spiral outer pathway, and the reactors / crushers. He's got some good manipulation of geometry to approximate three-dimensional space, especially in the final room, which took me a second to wrap my brain around. 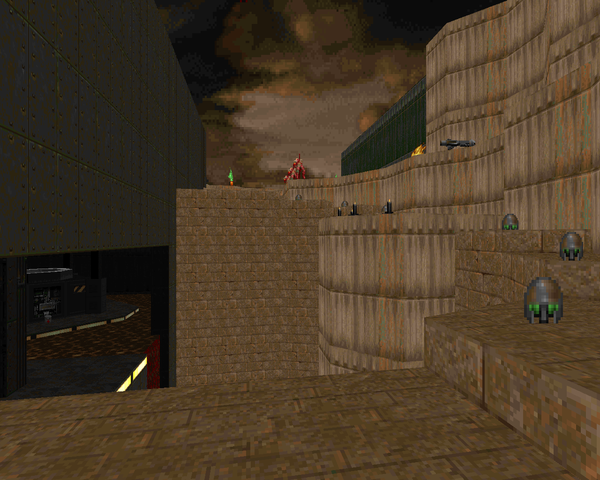 It all converges in yet another excellent map in the DICKIE series, which you should really play if you're looking for even more Doom II action. Though he insists that it's a bit of a mash-up of two different WADs, I don't see a difference in its presentation compared to previous levels in the set. Certainly nothing that would detract from the experience. This level is good but there is a ton of backtracking after getting keys.